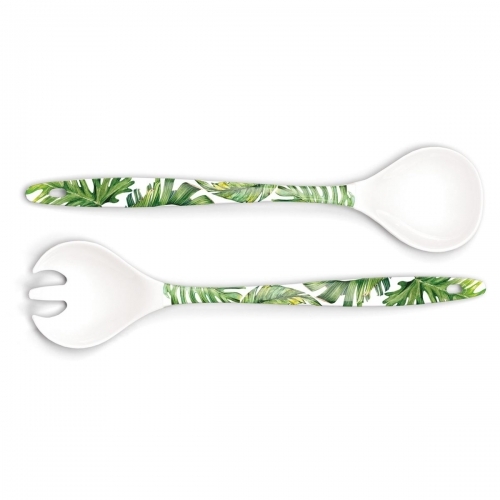 Flamingo Palm Serveware Serving Set Shop the largest selection of Michel Design Works serveware serving set and more - Flamingo Palm Collection. Plus free ground shipping on orders over $50. These charming, multi-purpose melamine serveware implements can be used to dish up salads, veggies, pasta, in fact, just about everything. Approximate size: 11" x 2.56" / 28 cm x 6.5 cm.